While adding a channel I get an option to select a Default Warehouse, what does that mean? You need to select a default warehouse for every channel you integrate in Orderhive. Ideally, the warehouse is the location where you stock your products and fulfill orders from. 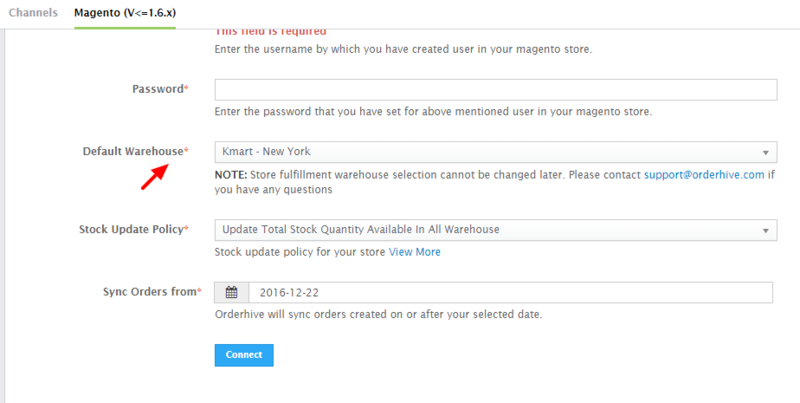 While adding any new platform or marketplace, you need to select a Default Warehouse which will act as the store fulfillment warehouse. So once a new order comes in, inventory would be deducted only from this warehouse. You need to use Multi-warehousing to manage inventory across two or more stores. You need to use Multi-warehousing to manage FBA inventory.